We present our annual C20 guide to the best Christmas gifts for friends and family who love architecture, art and design. At just £57 a year for individual membership (£42 concessions), C20 Society gift membership is a great way to support our post-1914 architecture and design. Members receive two issues of C20 magazine per year, a free copy of new C20 journals, and access to our members-only tours and walks. Please order by 18 December for Christmas delivery. The Barbican Estate (Batsford, £40) by Stefi Orazi celebrates the Grade II-listed Brutalist estate, which next year marks the 50th anniversary of its first residents moving in. New photos by Christoffer Rudquist accompany floorplans, essays and interviews with residents past and present. Two new titles in our C20 Architects series of monographs both feature stunning new images. 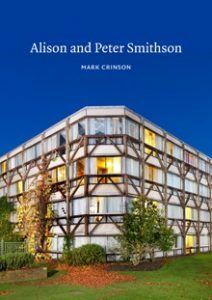 Alison & Peter Smithson by Mark Crinson (Historic England, £30) covers their career from the Hunstanton school in the mid-50s to their final projects. In Arup Associates (Historic England, £30), former C20 Director Kenneth Powell assesses the work of designers Peter Foggo, Philip Dowson and Derek Sugden. Also published this year is John Grindrod’s How to Love Brutalism (Batsford, £12.99), covering buildings in the UK, India and Brazil, and illustrated with drawings by The Brutal Artist. 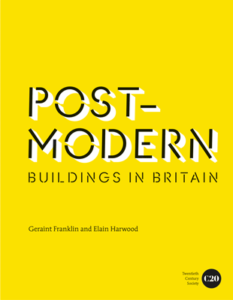 Don’t forget that C20 titles Post-Modern Buildings in Britain and 100 Houses 100 Years (both Batsford, £25) are both still available. Why not carry your Christmas shopping home in a stylish black Brutal Tote Bag (£6) from the Barbican shop? We also love the look and feel of the Barbican’s unique hand-cast concrete letters (£4.75 each), which measure a handy 5cm high. They also have a selection of prints and posters showcasing some of the landmark buildings on the estate. Brighten up Christmas with the London Underground Lightbox (£40) from the London Transport Museum shop. Continuing the Tube theme, the iconic and colourful Moquette fabrics are featured on a range of cushions, cubes and soft furnishings, starting at £59.99. To coincide with Tate Modern’s Anni Albers exhibition, the Tate shop has a selection of scarves featuring her beautiful designs. The Anni Albers green E silk scarf is £60, and the Meander scarf is available in pink or indigo at £85. Another Bauhaus-inspired design is the Triangle Pattern wool scarf (£60), designed by Wallace Sewell. Blue Crow Media has a truly international range of architecture and design maps, ranging from Art Deco London, Brutalist Boston and Concrete Tokyo (all £8 each) to the Moscow Metro Architecture & Design Map (£9). If you’re looking for ‘twelve months of Brutalist bliss’ there’s the limited edition Brutalist Calendar 2019 (£20).